Mr. Kurilla is a graduate of the Corporate Management Faculty of University of Economics, Bratislava. 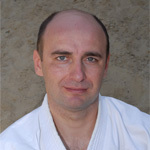 Štefan Kurilla is a certified 1st class instructor for Aikido and Judo, and a certified instructor for the Spetsnaz System (a self-defense system developed for the Special Forces of the Ministry of Defense and Ministry of the Interior of the Russian Federation). Mr. Kurilla is a professional martial arts instructor. He owns and manages a fitness center. With over 300 students, Mr. Kurilla teaches Aikido at 5 different gyms. Practicing martial arts since 1978, Mr. Kurilla holds a total of 23 dan grades in Daito-ryu Aikijujutsu, Aikido, Aikido weapons, Spetsnaz System and Judo. Studying with Japanese masters in Japan, Mr. Kurilla has gone on to lead trainings in Russia, Japan, USA, South Korea, Great Britain, Italy, France, Hungary, and the Czech Republic. Mr. Kurilla organizes and participates in the PRECOLOR MARTIAL ARTS EVENING (PRECOLOR VEÈER BOJOVÝCH UMENÍ) – the largest annual martial arts show in Central Europe. In recognition of his efforts, Mr. Kurilla has been awarded a number of prizes and diplomas, including a Diploma of Gratitude from the Minister of Defense of the Slovak Republic, a diploma and award from the Minister of Interior of the Russian Federation, Diploma of Gratitude of Spetsnaz veterans of Russia, Diploma of Gratitude from security specialists of US forces based in South Korea, and a special plaque from the president of the Korean Aikikai Federation and University of Pennsylvania for his "contribution to the development of Aikido". In 2005, competing with security sector specialists from 11 countries, Mr. Kurilla ranked 1st in the Tactical Firearms Course organized by the International Bodyguard & Security Services Association. Mr. Kurilla is a certified Firearms Instructor Assistant. 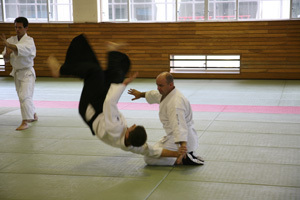 In 2006, Mr. Kurilla organized the 1st World-wide Aikido Demonstration. On the occasion, an international Aikido seminar was held, attended by experts from a total of 23 countries from 3 continents. Mr. Kurilla was at 21st of September 2007 certified diploma and plaque as a ''BEST FIGHTER'' by the International Bodyguard & Security Services Association (IBSSA) compering with security sector specialists from 10 countries and certified as a self-defense instructor of IBSSA. 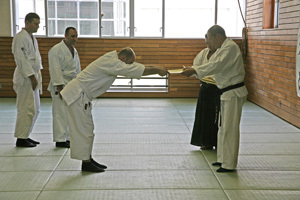 In 2009, Mr. Kurilla was awarded a Letter of Gratitude from the State Secretary of the Ministry of Defence of the Solovak Republic for development of the martial arts in Slovakia. In 2009, Mr. Kurilla was awarded a Letter of Gratitude from the Ministry of Education of the Solovak Republic for the long work with youth in sport and development of the traditional martial arts in Slovakia.